When I woke up today, I looked outside and the morning seemed perfect for hunting. I crept quietly downstairs so as not to wake anybody else and me and Maurice left for my deep silver park. The deep silver park opened in 1901 and saw thousands of people for many years until the neighborhood around it decayed and the park got a bad reputation. 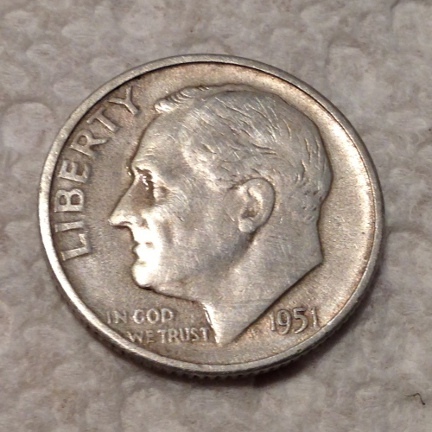 I have been finding silver coins from the late 40’s, 50’s and 60’s here. 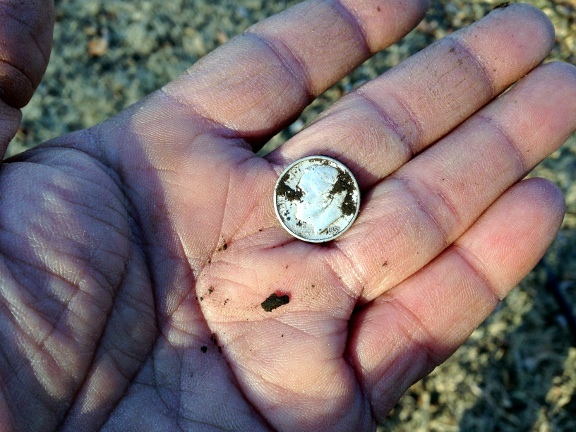 Many of the coins are buried at the seven inch to nine inch depth range. I know there must be thousands of silver coins buried here but I think to get to the coins from the early 40’s and before I need a machine that can reach depths of ten to eleven inches. Still, it seems I can find at least one silver coin at this park on a regular basis. I await with anticipation for the release of the eleven inch coil by XP. I am reaching depths of eight to nine inches with the nine inch coil now and my mouth waters at the thought of being able to hit the ten inch mark with the Deus. I know there is a brand new carpet of silver coins at that depth waiting for me to dig them. You got an early start on me. Congrats on that sweet silver!